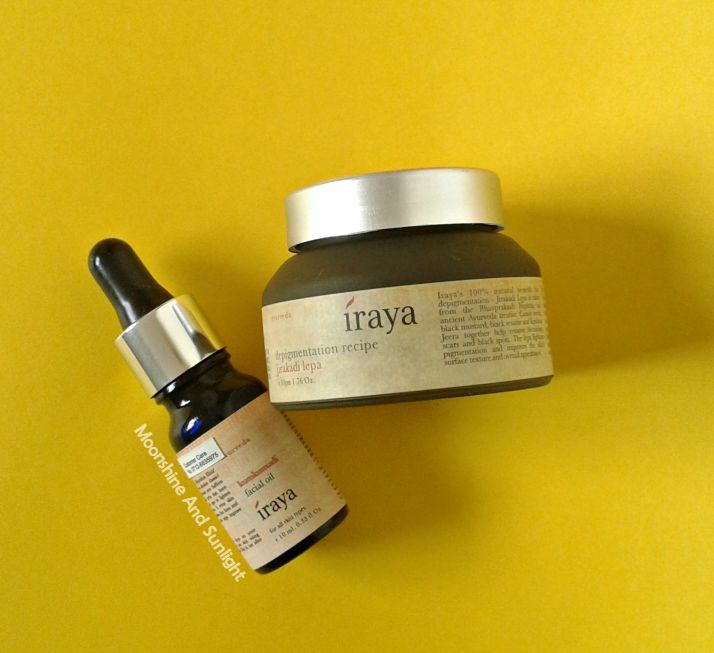 Last week I received some new launched products from Auravedic and Iraya sent me two of their products to try. Both the brands sent me one common thing, KUMKUMADI oil. 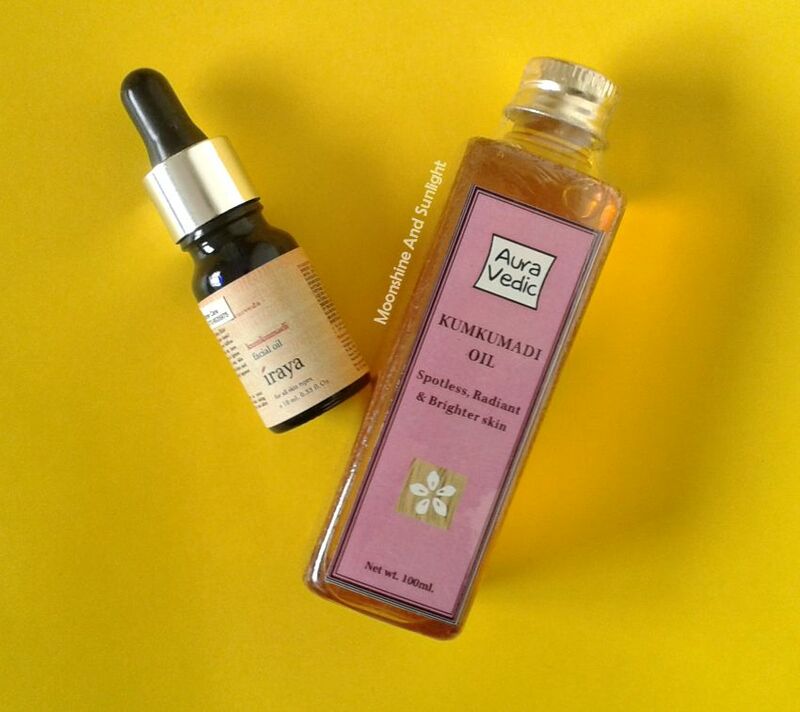 The Kumkumadi from Auravedic is veerryyy budget friendly (will reveal the price later), but I have to see if it really makes any difference! Expect a "Kumkumadi wars" soon! 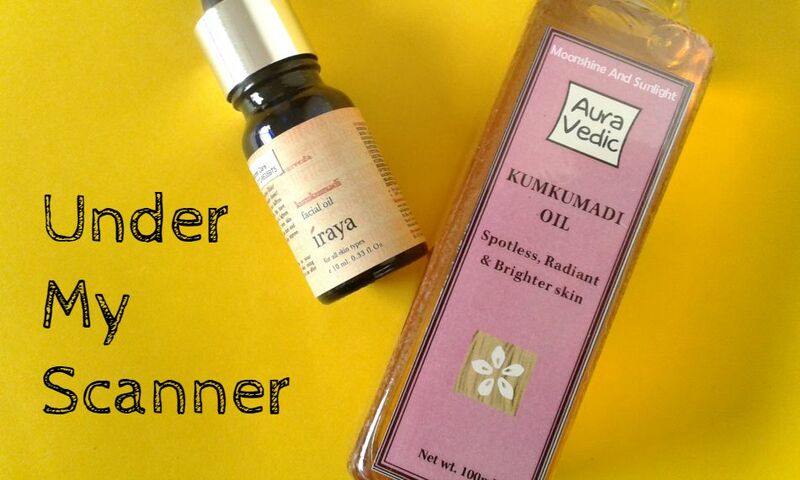 I will be using each one of these for 15 days ( I know , it is a very less time to see how they work ) , I will start with the Kumkumadi facial oil from Iraya. I have been facing a little problem of pigmentation around my lips, let's see how the Jerakadi Lepa from Iraya works on that. 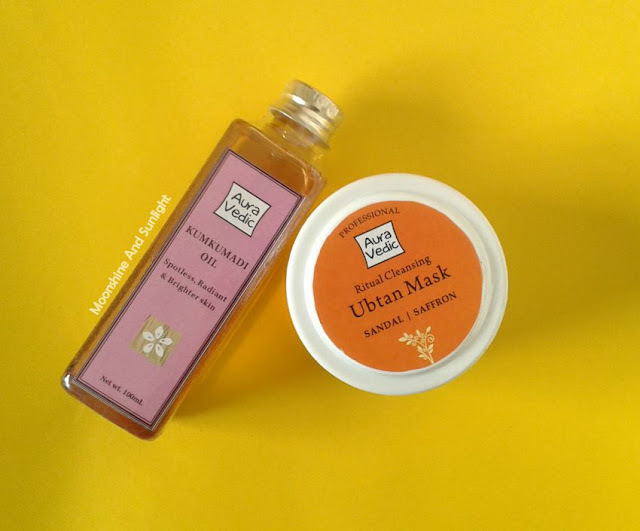 I ABSOLUTELY loved the Bridal Haldi mask (review) I tried from Auravedic , let's see how this one turns out. I am keeping high hopes from this one ! Let's see how these work out for me! Have you used any of the above products ?? Let me know in the comments !